Loaded Limited Package! Great Miles! Heated Leather, Chrome Wheels, Perfect Autocheck! Extra Clean!! Perfect Autocheck! No Accidents! Great Miles! Local Owner! Loaded Limited Package, Heated/Memory Ebony Leather Seats, Dual Power Seats! 6 Cyl. 3.5 Ltr., 18'' Factory Chrome Wheels,!Heated Front Seats, Rear Parking Assist, Traction Control, Sirius Radio, Bluetooth, Sync Stereo w/ CD/USB/Ipod Ports, Radio Controls in the Steering wheel, Tilt & Telescopic Wheel, Power Windows, Locks & Mirrors, Dual Climate Control, Power Down 2nd Row Seating, Dual Front, Side & Curtain Airbags, Weathertech Floor Mats! Factory Keyless Entry, Runs & Drives Great! Extra Sharp! We are Family Owned & Operated in the Same Location for Over 40 Years! We Pride Ourselves on No Pressure or Hassle Sales & We Don't call you at home. Will be the Easiest buying Experience ever! 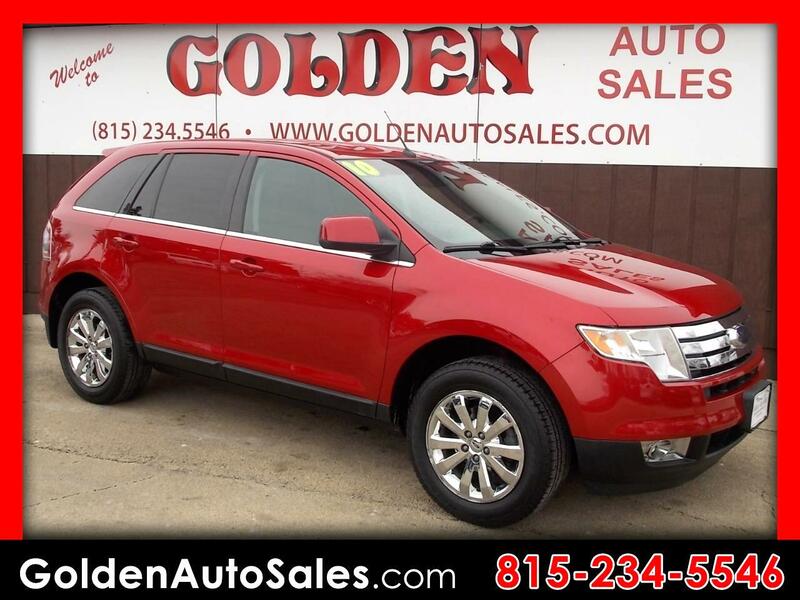 CHECK OUT OUR FULL INVENTORY with Over 30 PICTURES, DESCRIPTIONS & PRICES On each Vehicle on our WEBSITE at www.goldenautosales.com or call us at 1-815-234-5546.